About Us | JC Mechanical Inc.
We know that there are plenty of HVAC companies that you could hire to handle your residential and commercial HVAC and indoor air quality services in La Habra, CA. However, we strongly urge you to consider doing so with us. When you work with the professional HVAC, IAQ, and commercial refrigeration technicians at JC Mechanical Inc., you can count on nothing short of truly outstanding services from truly devoted technicians. Don’t put your comfort or that of your family, customers, clients, or tenants at risk. Call the pros on our staff, and know that the job will be done right every step of the way. From custom ductwork fabrication to routine air conditioning maintenance, we do it all. 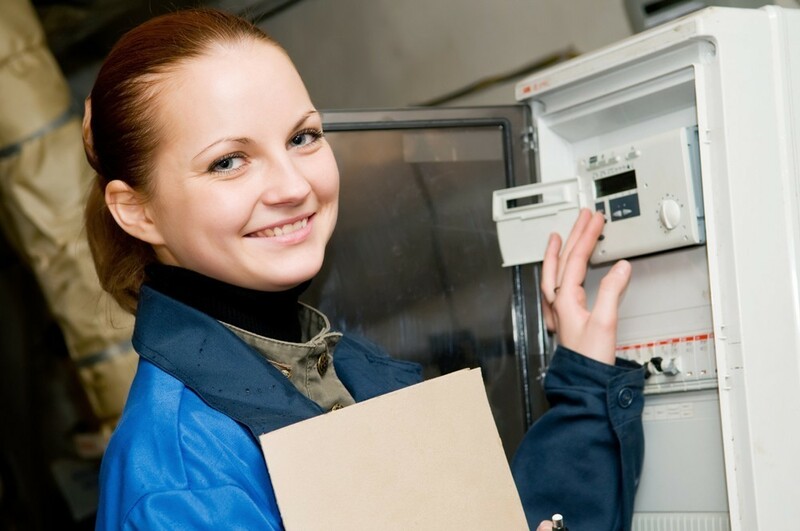 While there are certainly a number of different companies you can call to have your HVAC, indoor air quality, and commercial refrigeration services completed, few can offer as diverse and comprehensive a selection of services as we can. We get some very routine calls for the most part, such as heaters or air conditioners not coming on. However, we also specialize in certain areas that other companies overlook entirely. For instance, we offer full sheet metal fabrication services, including custom ductwork, kitchen hood ventilation, and grease ducts. You don’t have to take our word for it when we tell you how outstanding our services are, either. We service and maintain 16 McDonald’s in Orange County, handling not only their heating and air conditioning service needs but also their energy management systems, ice machines, and refrigeration equipment. We also are responsible for all of their custom stainless steel modification, fabrication, and repair services. Just because we excel at working with businesses doesn’t mean that we are not just as exceptional with residential service needs. When you work with us, you are working with highly skilled, trained, and experienced technicians. We show up to your home in clean uniforms, with booties on our feet to protect your property. Not only that, but we offer an extensive maintenance plan as well. As much as we love serving our clientele, we understand that you don’t necessarily want to see too much of us. When you let us maintain your various comfort systems, you can count on getting the most reliable performance possible from that equipment. When you need any heating, air conditioning, commercial HVAC or commercial refrigeration services in La Habra, CA, make sure that it is our number you dial. We believe that you deserve the best, and that is what we aim to provide with every single service we complete. If you have any questions about how we can help you to live and work more comfortably, just call a member of the JC Mechanical Inc. team today. We are happy to give you the information you need to make an informed decision about your comfort.